Compost Club services commercial clients from small offices, to fast-paced restaurants, to large multi-unit buildings. We can create a solution that works for your needs. Here are the basics of our service. 6-7 gallon buckets hold up to 40 pounds of food waste. These are convenient to have right in the kitchen area(s). 32-gallon rolling bins hold up to 200 pounds of food waste. These can live inside or outside and work best for medium to larger customers. ***We can include a latch on top so that the container can be locked. With each stop, we replace the entire container with a cleaned one! For the service and pricing that matches your organization's needs, check out the Service & Pricing information below. If you have any questions, please email us at CompostClub@TheUrbanCanopy.Org or call 872-444-6764. If you are ready to begin, click the button below and fill out the form! We will contact you shortly. Please note that there is no payment required to submit a form. Sign up by April 22nd to be added to the service in May 2019! We will contact you toward the end of April with details on your initiation day. What can go in our commercial bins? Who can we contact on-site, if we need to? We will send you a text when we drop off your first bucket and if we ever have trouble finding your full bucket. How often would you want pickups? We can always change this after further discussion. How do you wish to be billed? We offer two different options. We can always change this after further discussion. How would you like to pay for the collection service? We can always change this after further discussion. Who can we contact with invoices and billing inquiries, if we need to? Please choose from North, South, East and West. Your address determines if you are within our pickup area and what day of the week you get pickups. Please enter only your street name here. Lots of options, what is the suffix for your street name? Let us know where we might be able to leave the containers to swap them. We can change this after further discussion. Do we access your bucket location through the front or the back of your residence? We appreciate knowing how you heard about us! Awesome! We have received your form. We will contact you near the 20th of the month and start you composting early next month. Please make sure that emails from CompostClub@TheUrbanCanopy.org are not filtered as spam! 1. We complete our stops Mondays through Fridays. Depending on your physical address, you will be added to a specific day of the week. 3. Choose you container location(s)! 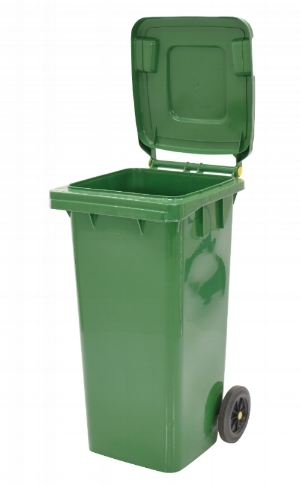 Please let us know what locations for the buckets or bins work best for you, we're happy to accommodate. 4. All of our containers come with compostable liners. Additional liners and other compostable supplies (cups, plates, silverware, etc.) are available for purchase. Tying closed extra liners help mitigate bug issues, especially with multi-unit locations sharing containers. 5. If you find your business needs more or less containers, we can adjust the number of containers at the beginning of the next month's service. 6. We can add locks to these bins if you need them to be locked when not in use. Please inquire about this if you are interested. 7. Members can cancel stops at any point and not get billed for these cancelled stops. If you anticipate this happening often, under "Billing Type" on the signup form, select "Per Stop (billed once per month)". 8. All billing is done on a Monthly basis with emailed invoices. Payments can be made via check, PayPal or with a credit card.